Well it took me several days but I finally published my 4,000 word plus, comprehensive review of the E-P5, last night. 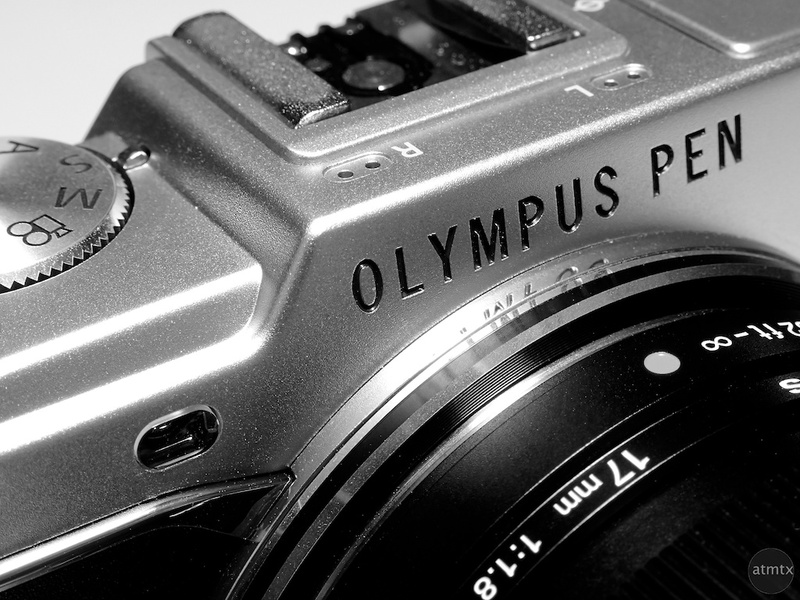 You might have noticed that I posted some “artistic” looking black and whites of the E-P5, as part of the review. I actually took them with the Olympus TG-2 waterproof point and shoot. The lighting was courtesy of a $40 Ikea desk lamp. Waterproof cameras like the TG-2 aren’t historically the best picture takers. Something to do with the limitations in design where the lens is folded up within the body. 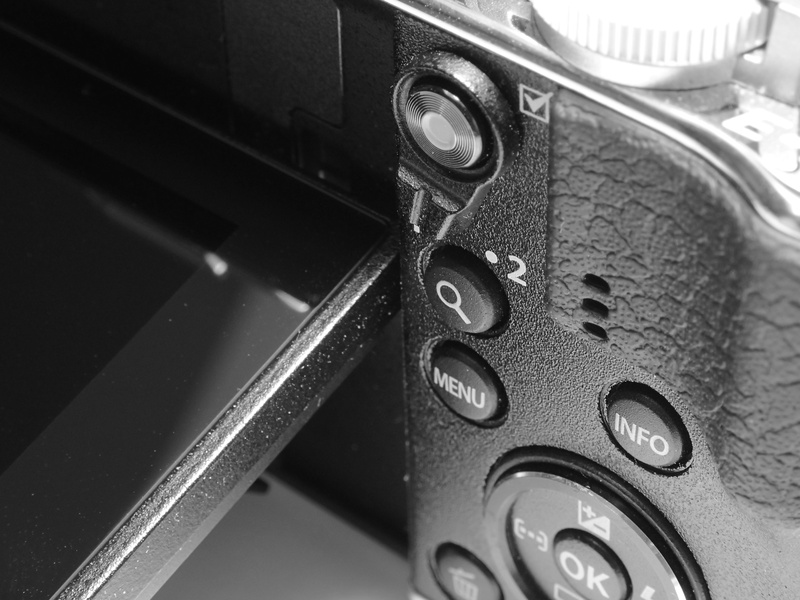 In a waterproof camera, unlike regular cameras, the lens does not protrude from the body. These cameras also have small sensors which impose their own limitations. 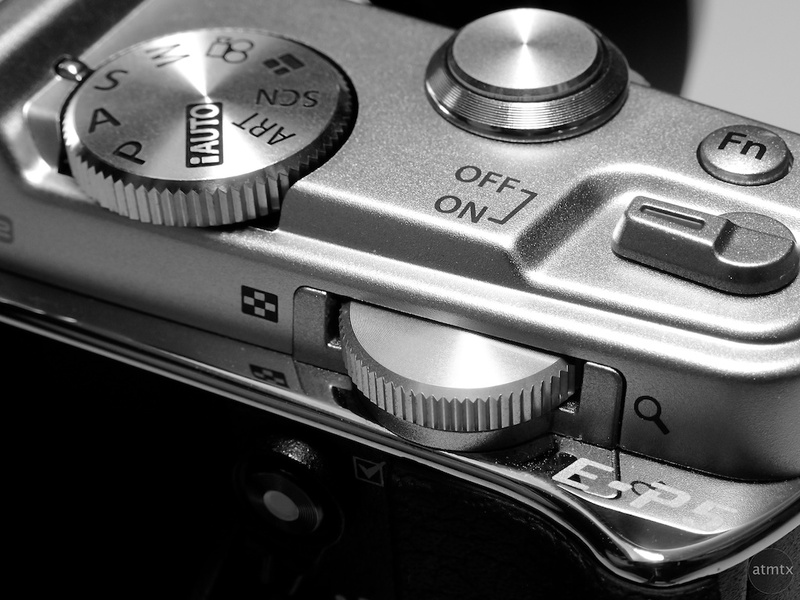 The TG-2, however, has this extra close macro mode. I could get closer than normal and it seems to work nicely for product photography. 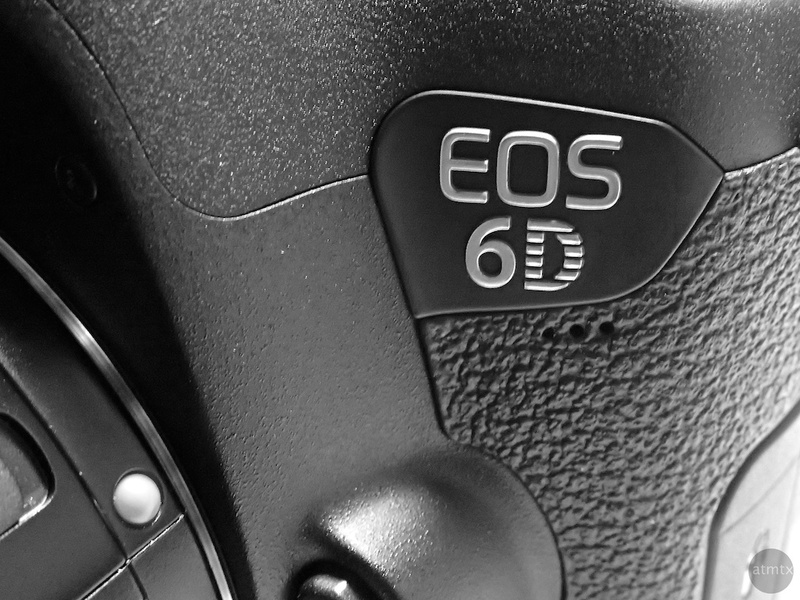 I secretly used it to post images of my Canon 6D a while back and it worked so well, I used it for the Olympus E-P5 too. So beyond its limited usage on family beach vacations, perhaps I’ll use it for up close product photography. 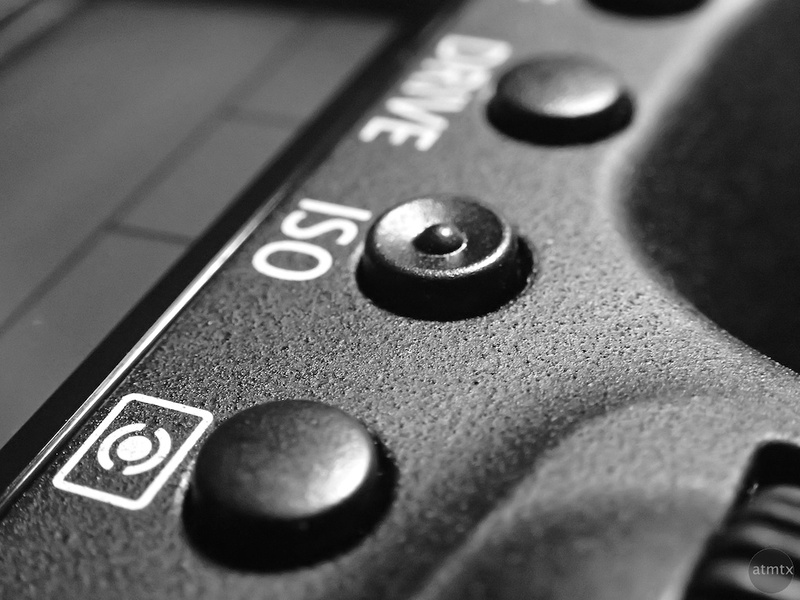 The small sensor also helps with macros where the closeness usually creates an extremely shallow depth of field. Since the sensor is so small, the depth of field is increased so more of the image is in sharp focus. 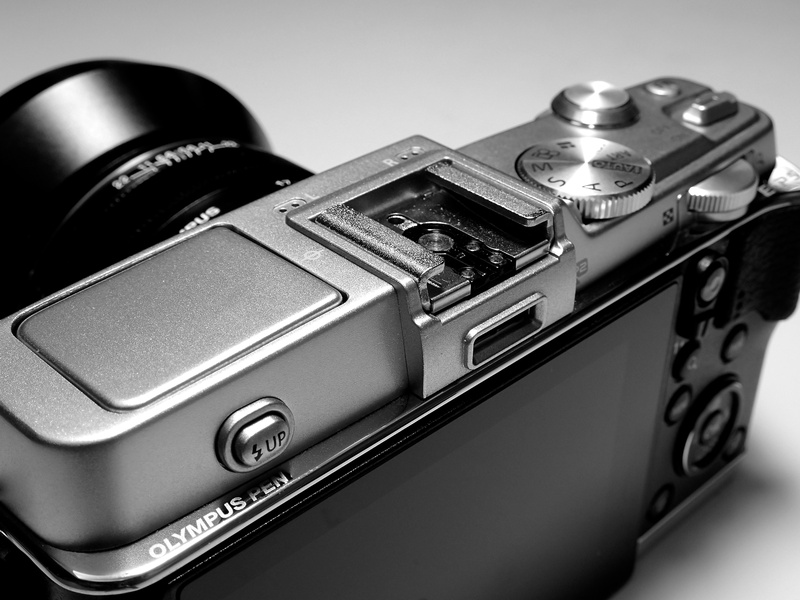 Here are some photos of the Canon 6D and the Olympus E-P5 that I took with the Olympus TG-2. That’s pretty impressive for such a humble P&S. Thanks Tom. I works surprisingly well. The depth-of-field really is excellent for these extreme close-up product photos. That small sensor really did help that. Your lighting is really, really nice. Reflections and shadows all really help bring out the textures and features of these portions of the cameras. Thanks Gregg. You’d laugh if you saw how I did the lighting. Maybe I’ll post that in the future. Actually, many of the small sensor point and shoots — even those of a decade ago — have provided very good quality closeup photography because of their lens design and the way the lens is optimized for its sensor. sensor yields closeup images which are more than competitive, used at online resolutions, with the current Olympus f2.8 macro. And, for this kind of photography the depth of field is preferable. We can only jam so many pixels into an online image. At 72 ppi we need only 720 of them to present a 10-inch wide view. Your TG-2’s sensor is way overqualified. Its lens, and your use of it, are just juicy. Yes agreed. And there are many excellent older cameras with lower resolution that will do the job perfectly fine. I’m reminded of this, looking at a framed 8 x 10 of my boys back from 10 years ago, shot with a 2.1 MP camera. Thanks for your comment and being one of the regulars on this site.